Trade war talk has generally muted gains across global stock markets this year, especially in Asia. Our recent round up of investment trusts that are trading on double-digit discounts pointed to a number of Asia-specific offering that have been shunned recently. However, further examination shows there are a couple of Asia-focused trusts trading on a premium. Closer to home, the UK market has bounced back in 2018 and been one of the better performing regions year-to-date. As a result, UK equity investment trusts are looking expensive compared to net asset value. We reveal three top-rated investment trusts trading on a premium below, could it be time to trim gains? Or is the margin confirmation your money is in the right place? 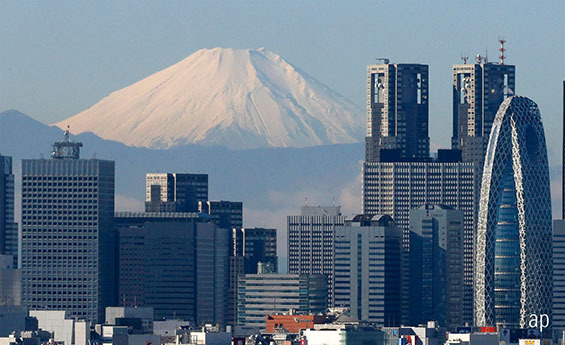 Returns in Japanese stock markets are notoriously volatile, which means recent bullish comments from many asset allocators must be take with a pinch of salt - and a strong stomach for volatility. The Morningstar Bronze Rated £775 million Baillie Gifford Japan has been one of the best Japanese trusts over the long term. It has had its fair share of poor years; though they have been vindicated by the better ones. The trust has tended to go through periods where it trades on a premium, before reversing to trade at a discount. In mid-2016, for example, it traded at a discount of 6%; by February 2017 it was on a slight premium and its share price has not traded below its net asset value since. However, after a stellar 2017 during which time it returned 47%, this year’s more muted gains of less than 4% has seen the premium narrow slightly. It traded at a 10% premium late last year, but has come in to just 2.84%. That is in comparison to its 12-month average of 4.89%. Despite long-term manager Sarah Whitley’s recent retirement, new managers Praveen Kumar and Matthew Brett have made a decent start to life running the trust, returning 6% since their appointments in April. Fund analyst David Holder notes the team’s collegiate approach means the investment should not change and the wider team remains well resourced. However, Holder did drop the rating from Gold to Bronze in December. An investment trust that went a full four years trading exclusively on a discount, the Morningstar Gold Rated £325 million Schroder Asian Total Return reached a 5% premium earlier this year – the largest it has had in more than 10 years. That’s come in slightly since to 2.58%, but it’s still among the biggest premiums on which the trust, described by analyst Germaine Share as “an exceptional Asia pacific ex Japan equity offering”, has traded. Its 12-month average is 1.55%; its 10-year average is 6%. Performance year-to-date has not been brilliant, up just 1.37%, but that compares to the MSCI AC Asia Pacific ex Japan index which is down 0.2%. Share likes the trust’s “unique downside resilience”. Indeed, our recent round up of trusts trading on discounts shows a number of offerings exposed to Asia that are well out of favour. After an inauspicious start, managers Robin Parbrook and King Fuei Lee have easily beaten the aforementioned index, returning 85% since March 2013 compared to the index returns of 51%. The performance fee is competitive at 0.65% and Share says it “possesses a number of best-in-breed traits that are not to be missed”. While value-oriented investors have generally struggled for much of the past 10 years, in recent times, the UK has become an outlier. Value is largely working well in the UK, with Brexit uncertainty depressing UK firms’ valuations to lows not seen for many years. That’s been positive for the number of value fund managers in the UK, of which there are many – the UK, of course, has fewer true ‘growth’ names than the US and China. As a result, many UK-focused funds and investment trusts have held up well this year. The £750 million Morningstar Silver Rated Fidelity Special Values, managed by Alex Wright, is one. Year-to-date the trust has almost returned 10%. Carry on for the next five months and it could be on for the best year of performance since 2013, when it gained 55%. As a result, the trust has gone from trading on a 6% discount in early December to trade today on a 1.17% premium. In fact, as recently as April was the offering trading at a 5% discount. The trust’s 12-month average discount has been 2.42%. Wright has been running the mandate for almost exactly six years and has trebled investors’ cash in that time. The trust’s analyst rating was recently upgraded to Bronze and Simon Dorricott believes it should be a core holding in investors’ portfolios. Why Do Investment Trusts Outperform?